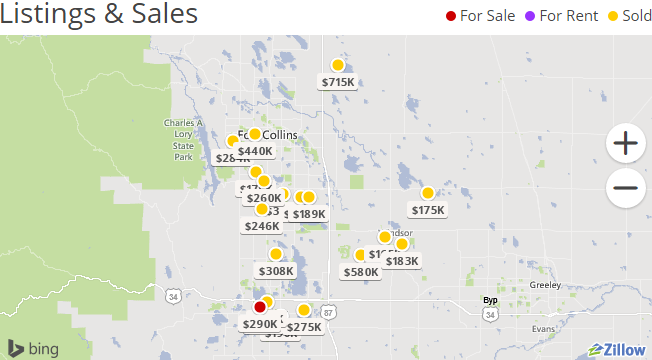 I have had the opportunity to work with Buyers & Sellers across Northern Colorado, including Fort Collins, Loveland, Berthoud, Windsor, Greeley, Timnath, Wellington and the surrounding areas. Please click on the Zillow button below to view a portfolio of some of my recently sold listings. If you have any questions please contact me at 970.231.6507 or dana@danagoode.com.